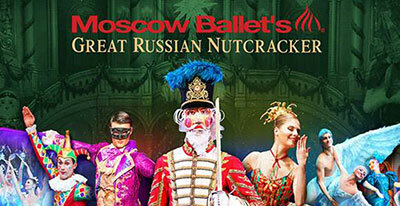 Celebrate the magic of the holidays at the Martin Woldson Theatre at the Fox with the Spokane Symphony, the nationally acclaimed State Street Ballet, and a bevy of local dancers in the Nutcracker. Five performances, next Thursday, December 1 through Sunday, December 4. Downtown Horse and Carriage Rides start this Friday, November 25 and run through Christmas Eve. Ride free Fridays, Saturdays and Sundays. It's first come, first served. Pick-up is at 573 W Spokane Falls, across from the Carrousel. Go to downtownspokane.org for all the details. Visit Trackside Studio, 115 S. Adams, on Saturday, November 26 to check out the last day of the 'WHITE Works' exhibit. Browse their ceramic filled shelves for early holiday gifts. Think gift baskets, a lovely bowl to put with your favorite brownie mix, a pair of cups to put with a great bag of local coffee, a pair of tumblers to put with a wonderful bottle of wine, a vase to put that great bouquet of flowers from Costco in. They are celebrating the 'Shop Small, Shop Local' day by offering 10% off any ceramics purchase. If you're looking for holiday bargains, Spokane Transit (STA) has a great one for you. 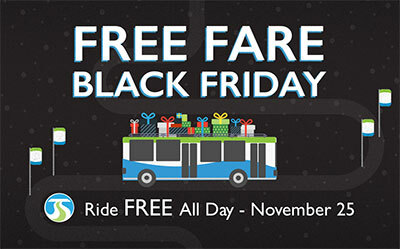 Riding the bus is free all day, on Black Friday, November 25. Come on board and experience how fun and easy riding the bus can be. With convenient access to downtown, regional malls and all your favorite local shops, there's no better time than Free Fare Black Friday to give transit a try. Plan your bus trip using STA's Trip Planner at spokanetransit.com. For added convenience, you can now text your stop number (located at the bottom of the bus stop signs) to 99689 to learn when the next bus will arrive. Northern Quest presents The Price is Right Live for three shows. Come on down, next Monday, Tuesday and Wednesday, November 28-30 at 7:30. Go to northernquest.com for tickets and more information. The 34th Annual Christmas Tree Elegance will be held at the Davenport Hotel and River Park Square starting Tuesday, November 29. Christmas Tree Elegance is a raffle of 18 themed custom-decorated trees with prizes which include gift certificates, items and cash valued up to $5,000 and a Father Christmas sculpture. Twelve decorated trees and a Father Christmas sculpture by Elizabeth Raol will grace the mezzanine of the historic Davenport Hotel. Sales for the Davenport trees and Father Christmas will end at 9pm on December 10 with the drawing for winners to follow. Six holiday trees will line the second floor corridor at River Park Square. During the holidays, the Square, also features a three-story decorated tree in the atrium, Santa and hours of musical entertainment. Sales for the River Park Square trees will end on December 11 at 4pm with the drawing to follow. Spokane Symphony Music Director Eckart Preu and 10 members of the orchestra will be featured at two Holiday luncheons on December 6 and 7. Door prizes and other fun activities will be included. Tickets for the luncheon are $50 and can be purchased by calling 509-458-TREE (8733). 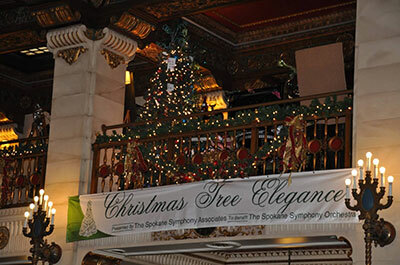 The annual event is created and sponsored by Spokane Symphony Associates, a 300-member volunteer organization that raises more than $275,000 in support of the Spokane Symphony each year. For more information, visit spokanesymphonyassoc.org. Country music superstar and Platinum-selling recording artist Blake Shelton brings his Doing It To Country Songs Tour to the Spokane Arena on Friday, February 24, 2017. The tour follows the 2016 release of Shelton's 10th studio album, 'If I'm Honest,' which was not only the biggest selling album in the week of its release, but also the best-selling country album released this year. Special guest at the concert is RaeLynn. Tickets go on sale on Friday, December 9 at 10am at the Spokane Arena Box Office, all TicketsWest Outlets, at www.ticketswest.com or 800-325-SEAT. 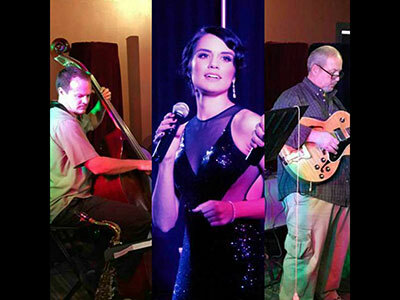 Julia Keefe performs with Nick Schauer and Dave Fague at Nodland Cellars Tasting Room, 926 West Sprague, this Friday, November 25 from 6:30-9pm.